It’s hard to believe Summer has come and gone, but we have proof. Our Summer Lovin’ Photo Contest was sizzlin’ right up until the very end. Thank you to all who entered and thank you to all who took the time to vote! It was fun watching the final minutes as the winners were secured. The votes were really close. Congratulations! Please e-mail us your mailing address so we can get your prizes sent to you right away (theromanticvineyard@gmail.com). Thanks again. What a fun contest and what a great demonstration of how great marriage can be. We had lots of comments about the happiness expressed on each couples’ faces. Great job! This entry was posted in Christian Marriage, Contests, Growing Strong Marriages, Summer Lovin' Photo Contest and tagged Arts, contest, Photography, Prize. Bookmark the permalink. 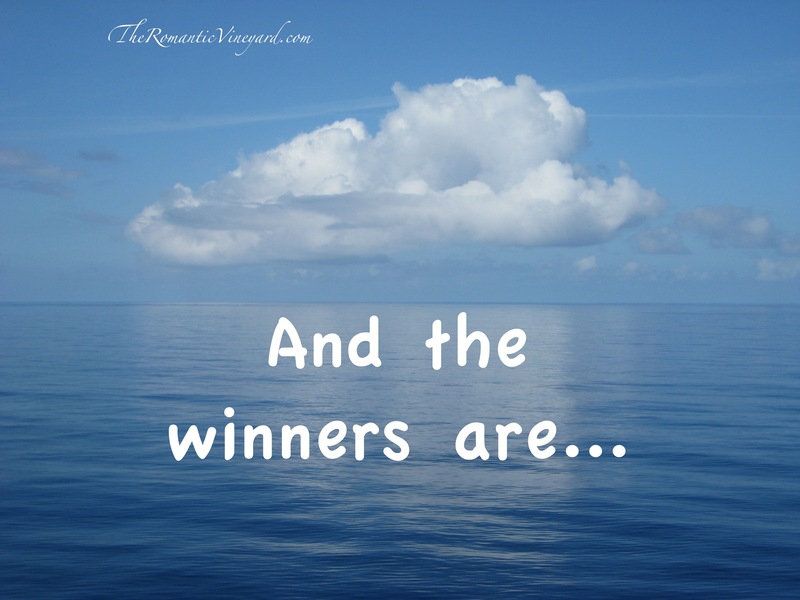 7 Responses to Our Winners! Wow! Well that was fun! Not just winning second place but the whole trip (minus travel, of course!! ), dinner, everything! Here’s to spontaneous pictures 🙂 Love ya!! We had so much fun!! Can’t wait to make our way back there again and hopefully sooner than later!! Blessings! I have to agree with you Pamela! The best part is that wonderful spouse we walk through life with!! 🙂 Blessings! Yes, Pam. You are all winners. Great pictures made the voting very close. Wow, the last time I ever won anything was a “Buffy Saint Marie” album in 1974. No wait – the best WIN I ever had was June 14th 1986, and she is still my prize and love and best friend. Hope to get back to Longboat Key and the Anna Maria Pier again next year where we honeymooned and re-honeymoon almost every year.